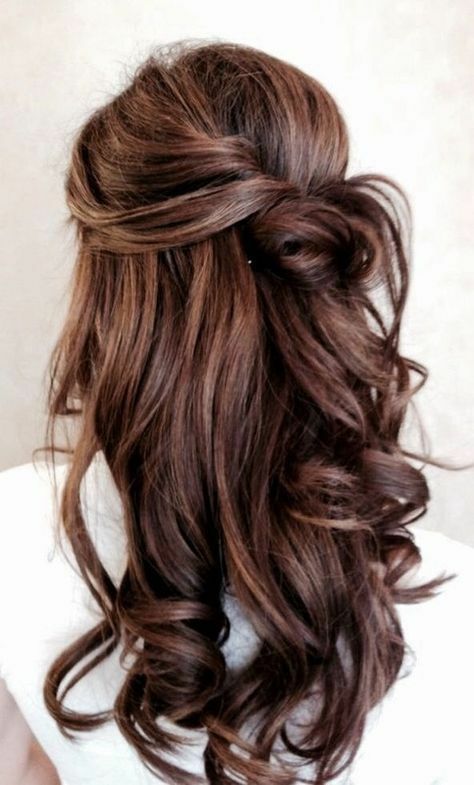 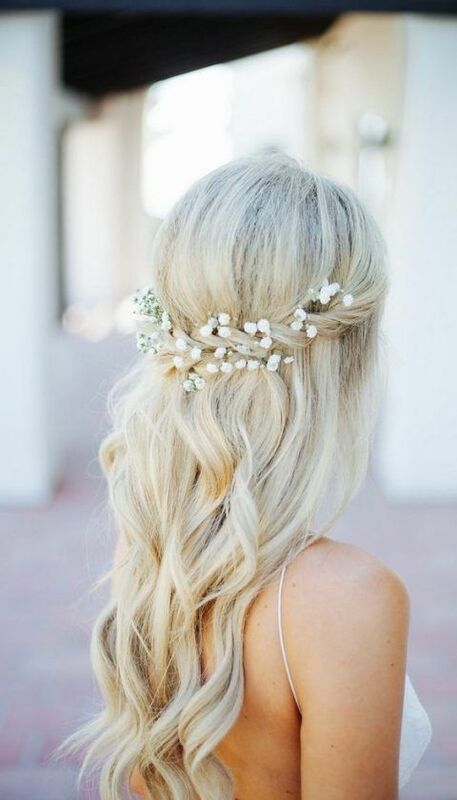 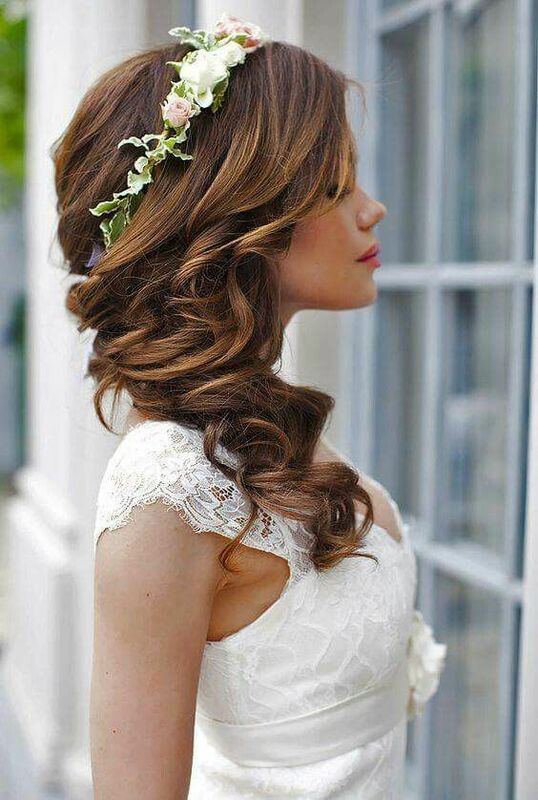 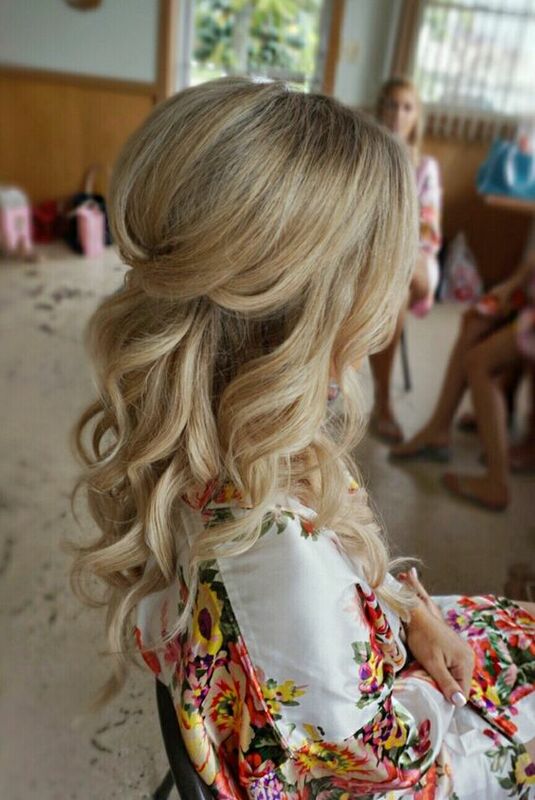 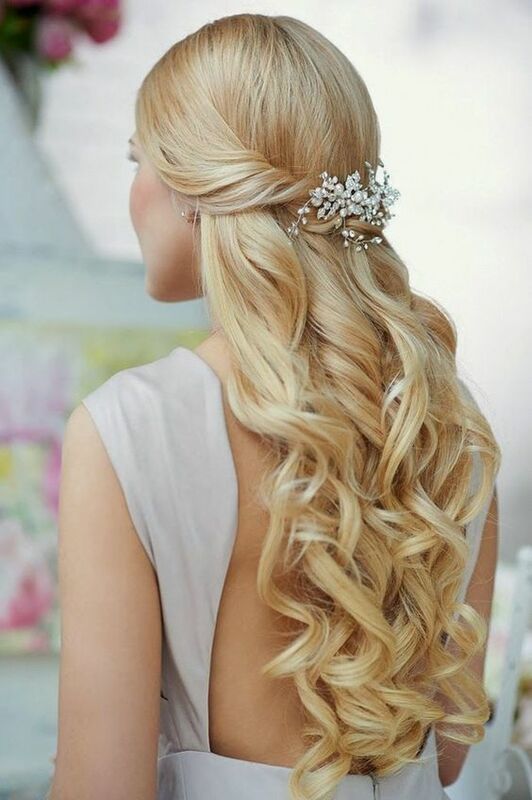 Every bride is looking for a perfect hairstyle to complete her look, this is no less important than a dress. 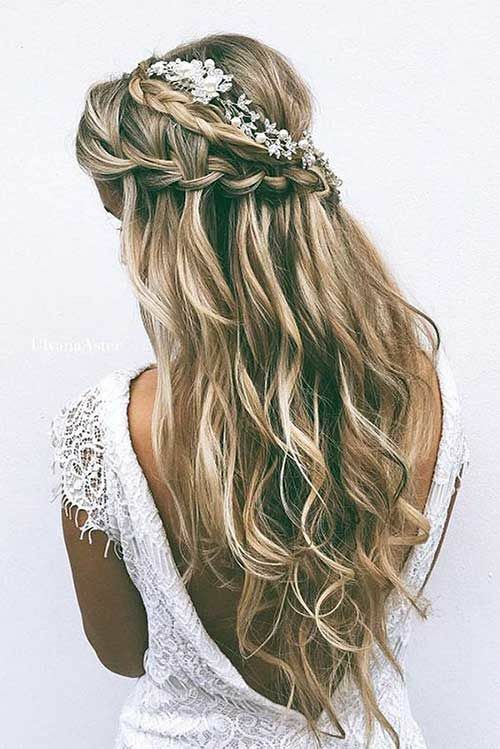 Half updos are timeless classics for long and medium length hair, they are chic and romantic and will give you a picture-perfect look. 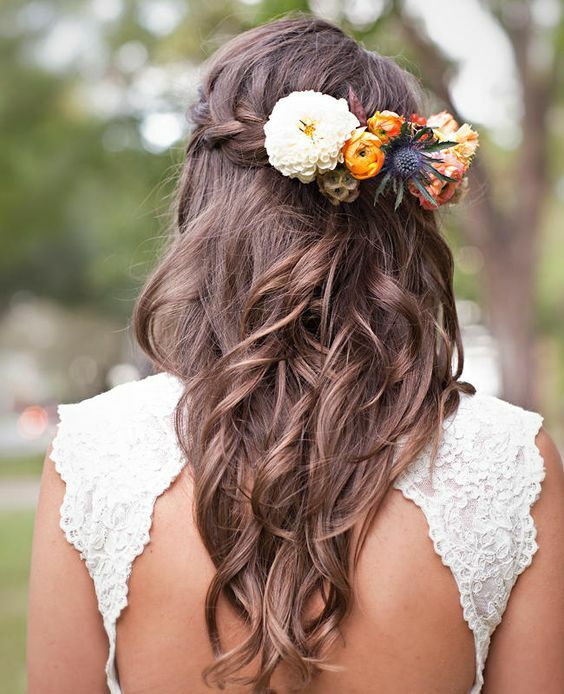 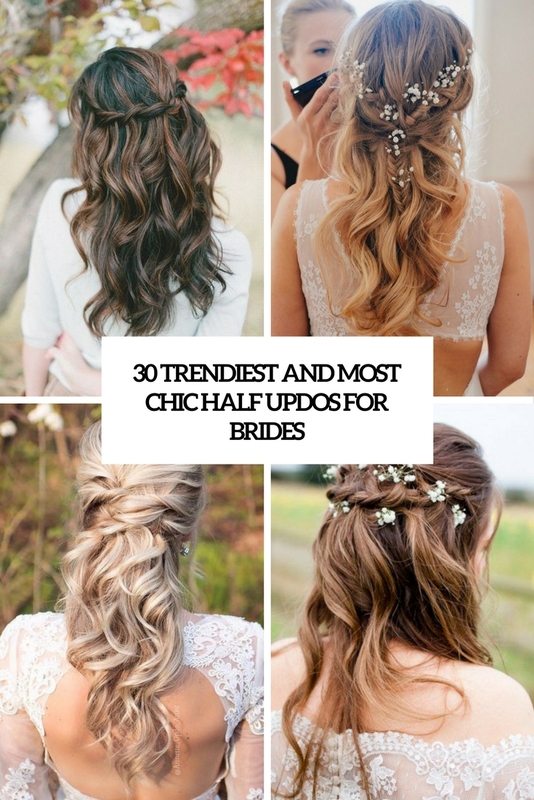 There are lots of kinds of half updos: twisted, braided, wavy, curly, messy and various combos of these, so every bride will find something for her, and today I offer to have a look at the coolest ideas from all over the web. 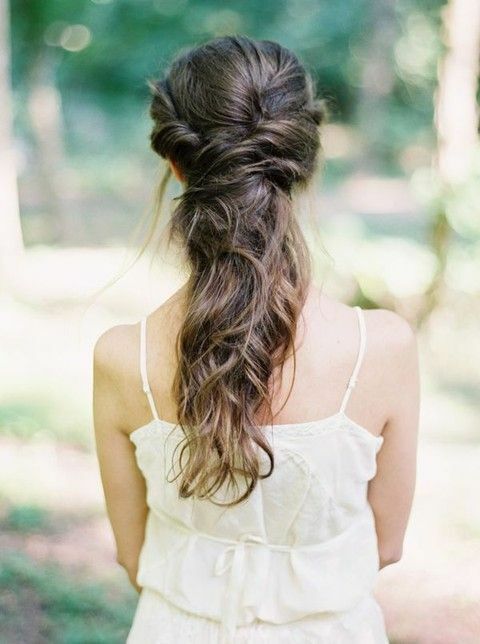 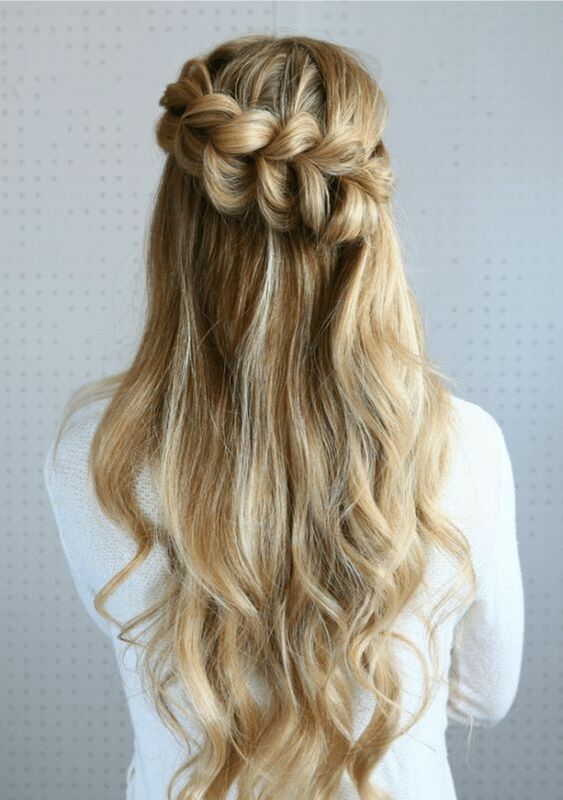 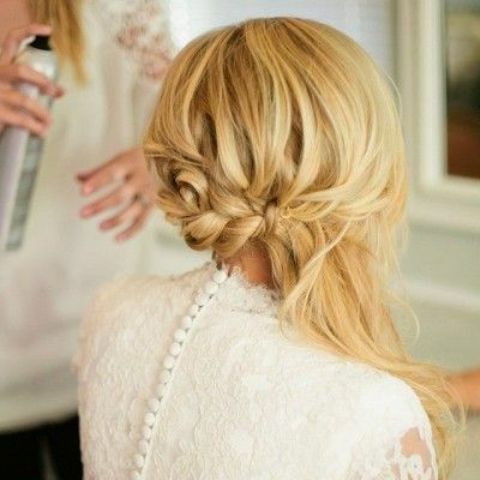 Braids are among the hottest wedding hairstyles for brides and bridesmaids, they are long-lasting and very romantic. 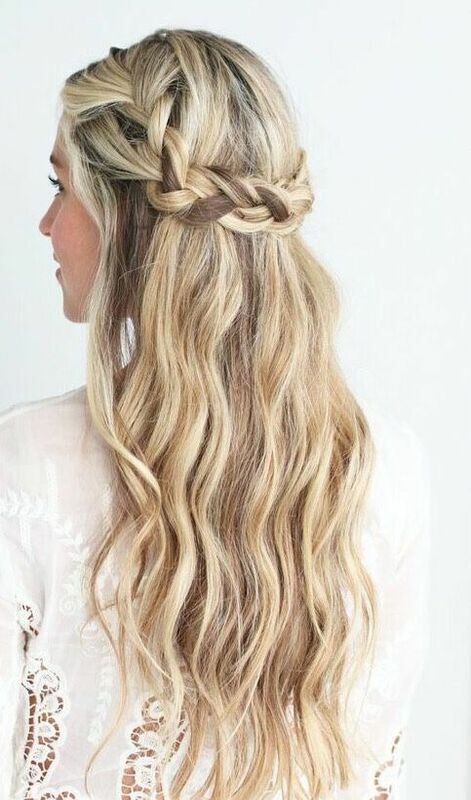 You can incorporate some braids into your half updo to be in trend, for example, go for a waterfall braid on top or several braids even. 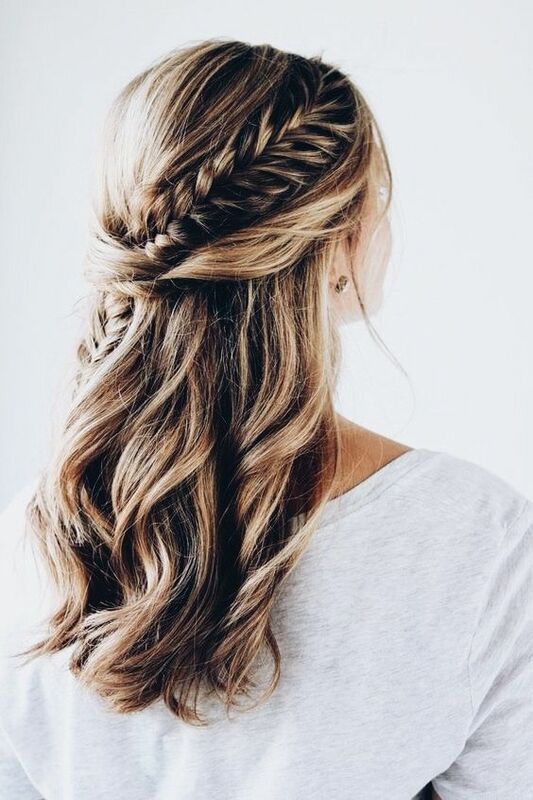 Make some braids and then twist them into one large, or just go for a fishtail braid in your half updo to give your hair a boho look. 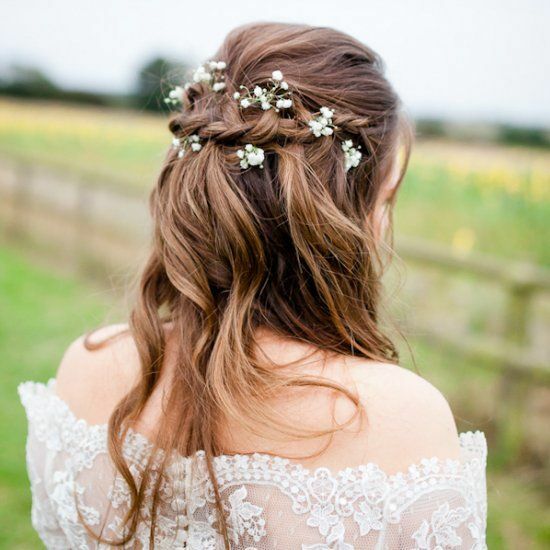 Such braided and twisted half updos look awesome with some fresh blooms tucked into the hair, a fresh alternative to a trendy floral crown. 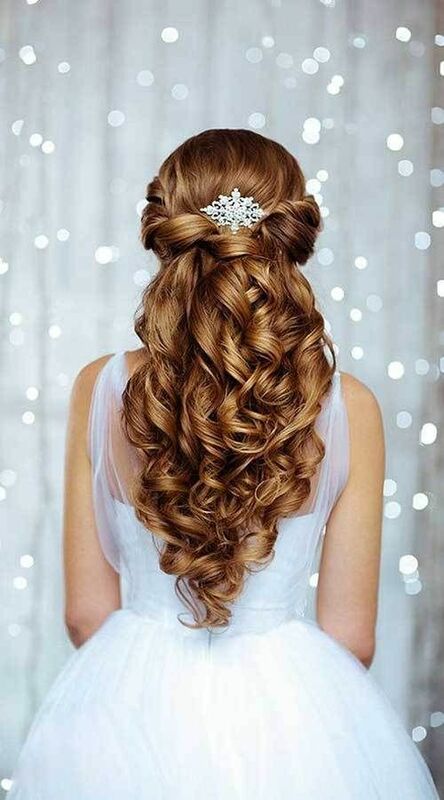 This category is the largest one and there are endless options to choose from. 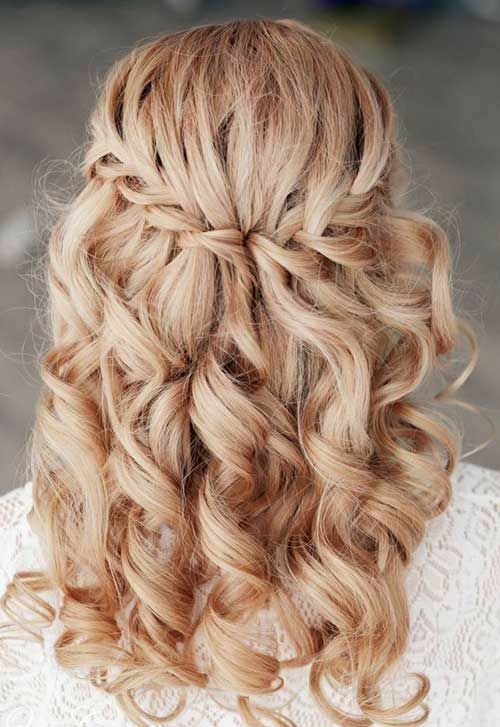 Twists are so popular because they can be made on any hair length and look very romantic, plus they are long-lasting. 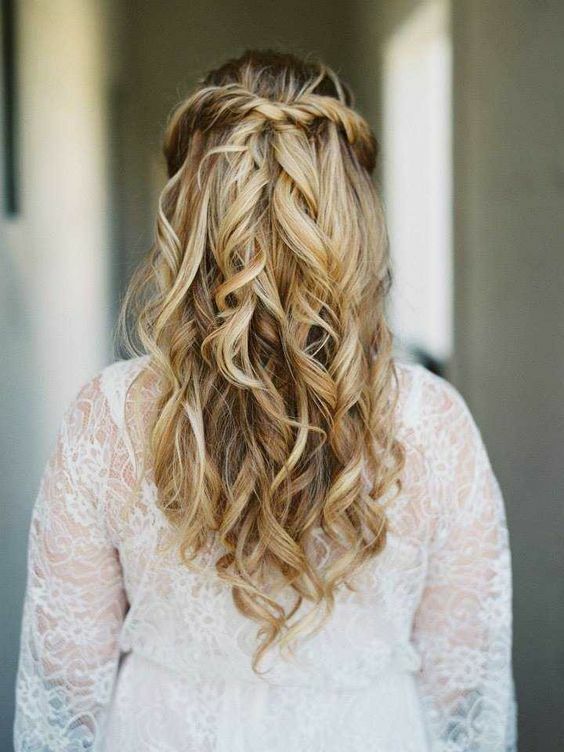 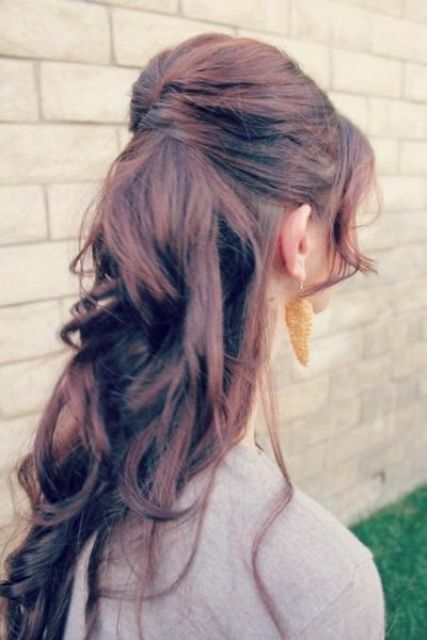 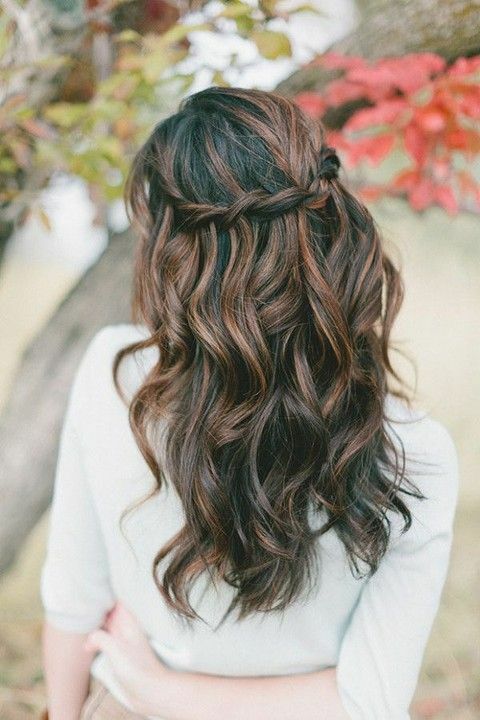 Add some twists on the back of your half updo – just one or several to give your hair a textural look and then go with waves or curls for a romantic look. 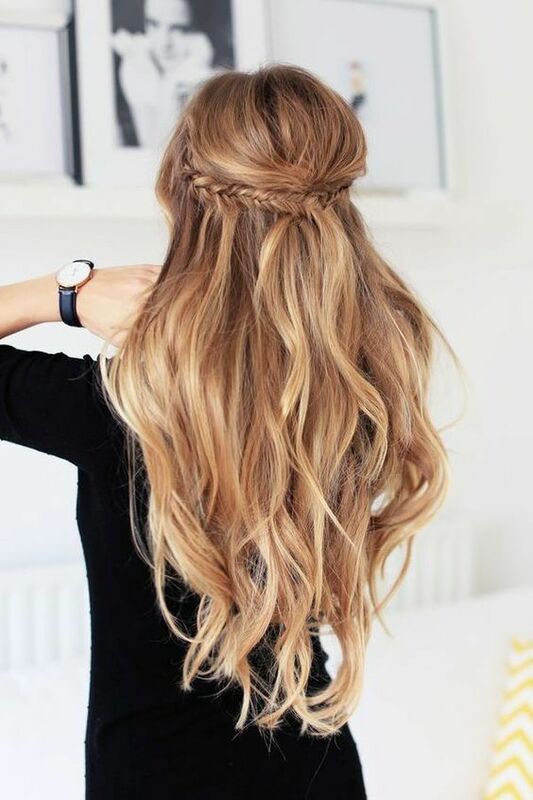 If you want a more casual look, go for beachy waves and a messy half updo, for a more elegant look go for a sleek half updo and curls. 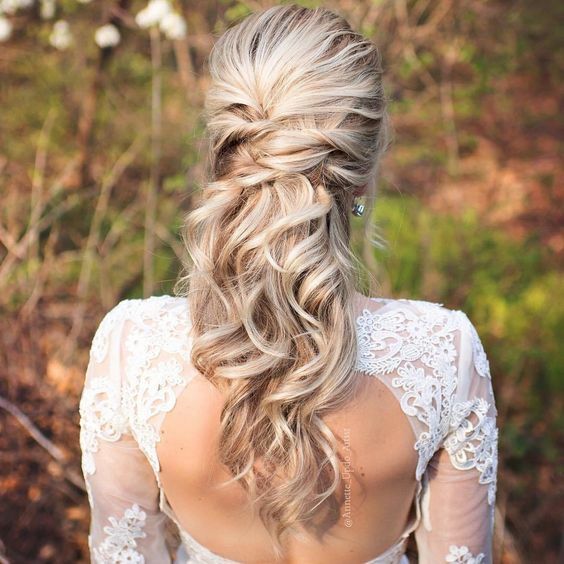 You can find various twisted side half updos, half updos with a low ponytail and many more – choose what you like and what fits your bridal style! 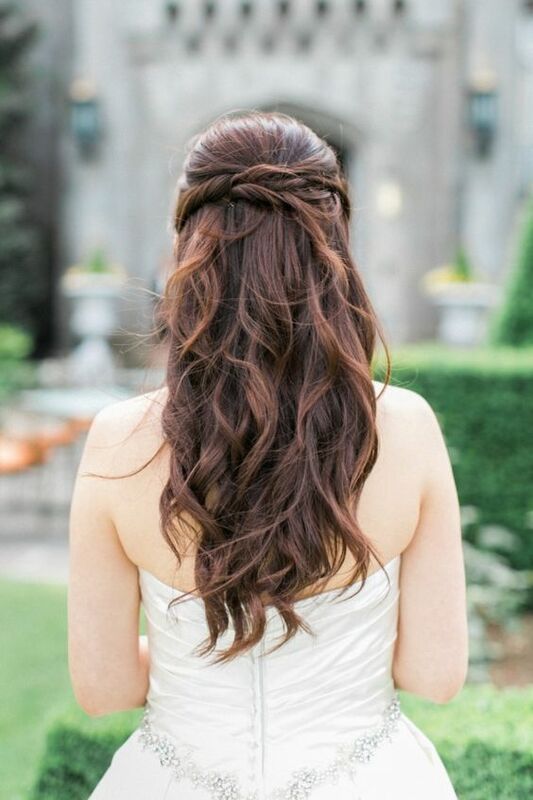 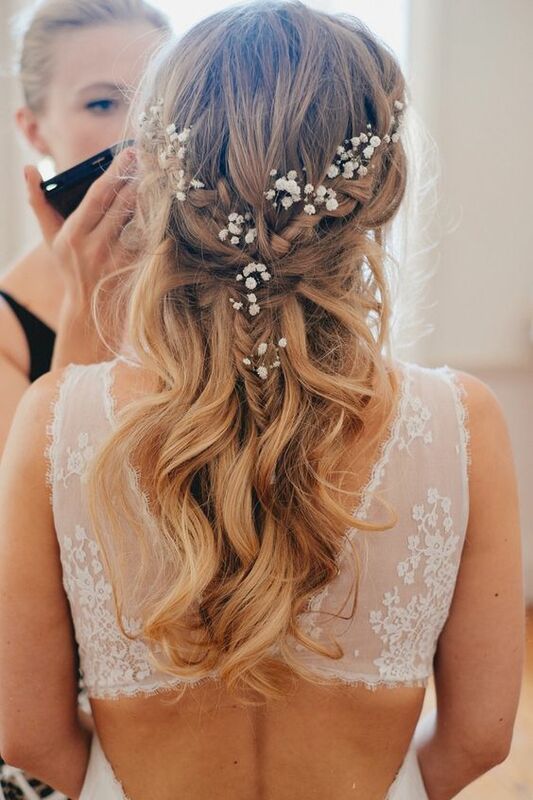 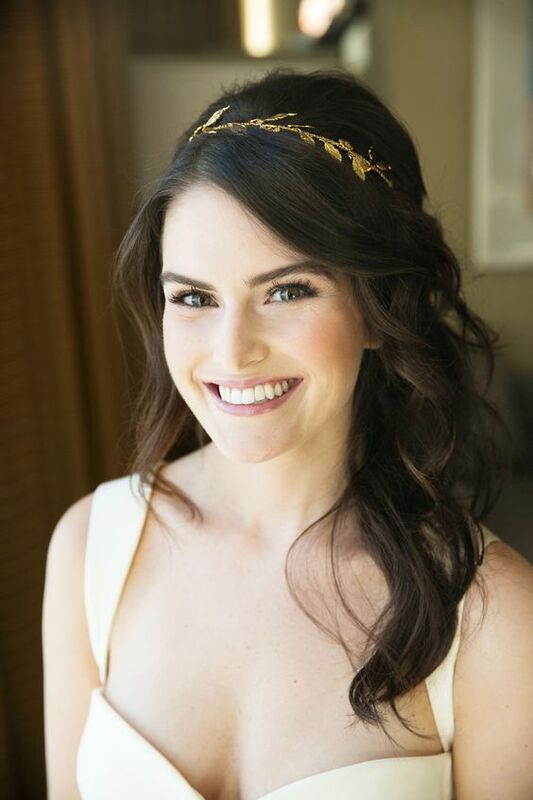 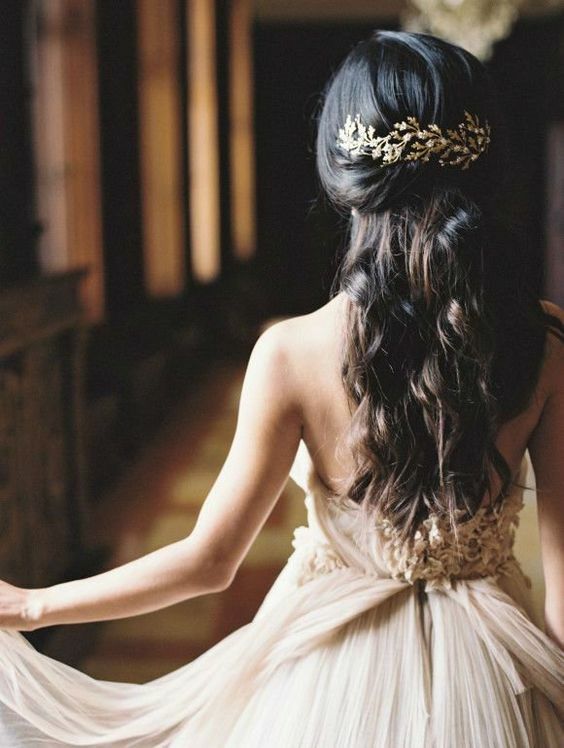 Wavy half updos with various accessories are classics that will fit literally any bridal style, and will work with any hair length, so get inspired by the ideas below and choose yours!